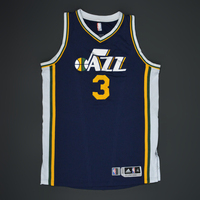 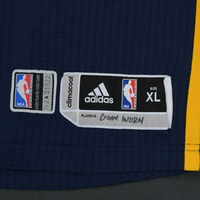 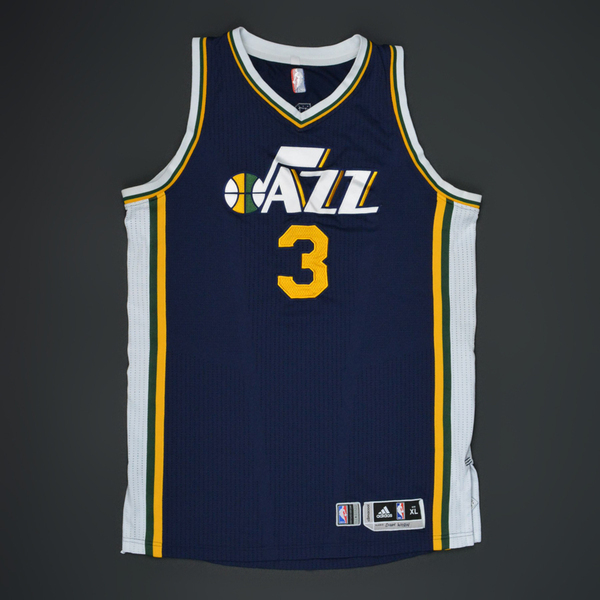 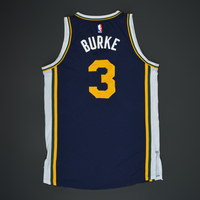 Burke wore this jersey during the Jazz's 92-91 loss to the Miami Heat on November 12, 2015 at AmericanAirlines Arena in Miami, FL. 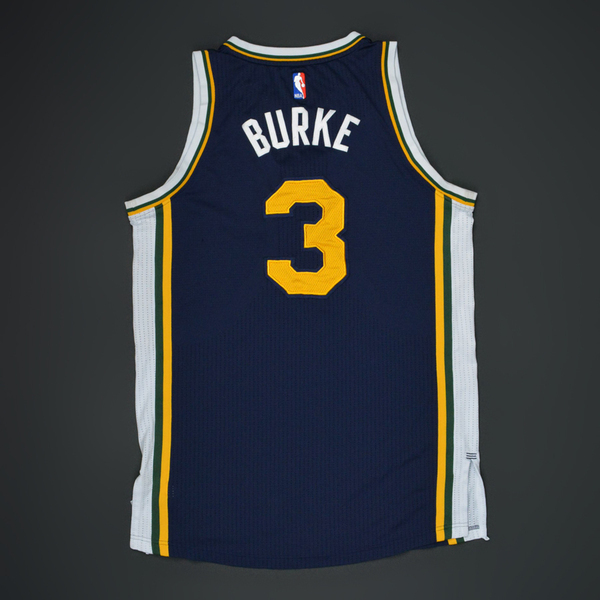 He played 27 minutes and registered 6 points with 2 assists, 3 rebounds and 2 steals. 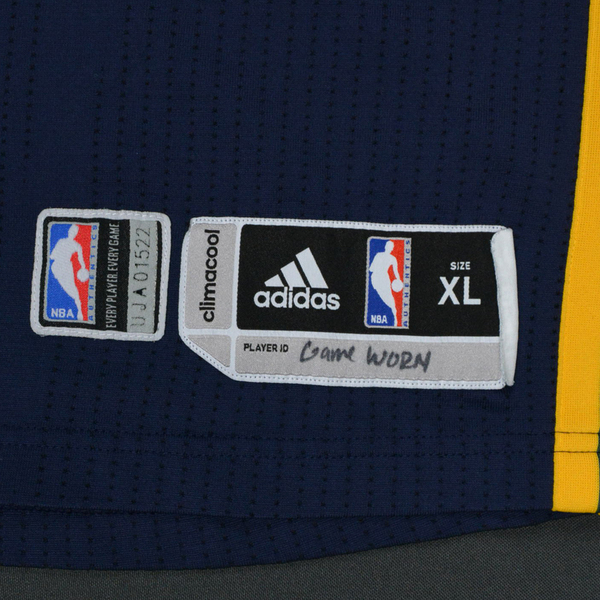 "Game Worn" has been handwritten on the jock tag.